Are you planning a vacation for spring break or summer vacation? You will definitely want to get your Mazda vehicle properly serviced before you hit the road. Keep reading to learn how the Mazda Service Department can help you stay safe and comfortable while on your vacation. If you are planning to drive your Mazda on vacation this spring or summer, you’ll want to make sure it is safe to drive. Are you tires a little worn? Is your air conditioner not cooling properly? Do you remember the last time your windshield wipers were changed? It is a good thing that the Mazda Service Department can help you with these services and more. One of the first things you will want to do is make sure you’re not overdue for an oil change. Keeping your Mazda vehicle properly serviced is one of the most simple things you can do for your vehicle. When is the last time you inspected your tires? Have you noticed if they are losing air or looking worn? 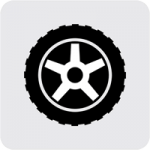 Mazda Service offers a great selection of tires made special for your Mazda vehicle. Tire sales and specials can happen at any time. Don’t let a flat tire ruin your entire vacation! Don’t forget the fluids in your Mazda vehicle? You will surely want to make sure everything is topped off and ready to go when you are! Did you know you can also come in for a courtesy vehicle inspection? You can always schedule a visual vehicle inspection. It doesn’t take long at all! We will have one of trained technicians go over your vehicle, inspecting brakes, belts, hoses, fluid levels as well as many other items. Then, you’ll be given the Vehicle Inspection Report, sometimes called the Vehicle Report Card. 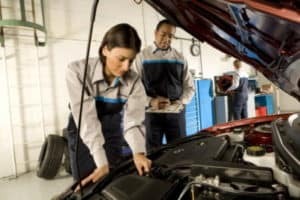 The service advisor will go over each item and let you know if things are good to go or if something needs your attention. This vehicle inspection is also performed on each and every vehicle that comes into our garage for service. So, don’t be left on the side of the road or stuck in a hotel room while on vacation. 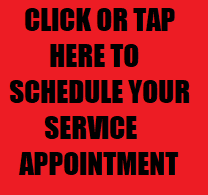 Make sure you call Mazda Service or schedule your appointment online!